Marek has been running our agency since 2018 and passionately evangelizes the T&P model to our clients and the wider industry. He joined T&P with many years of media and communications experience, having worked with a broad range of national and international clients. 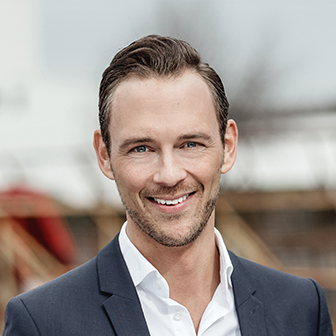 Marek led clients in consumer electronics and e-commerce (including Sony, Vodafone, eBay and Dell), FMCG and Food (including Theo Müller Group, Gerolsteiner) and the automotive industry (Volkswagen, Toyota / Lexus). Outside the agency, Marek devotes his time to “his girls” (his wife, 3 daughters and family dog Lou). And in the super-rare case that you can’t reach him, he’s probably enjoying his time on a beautiful golf course.